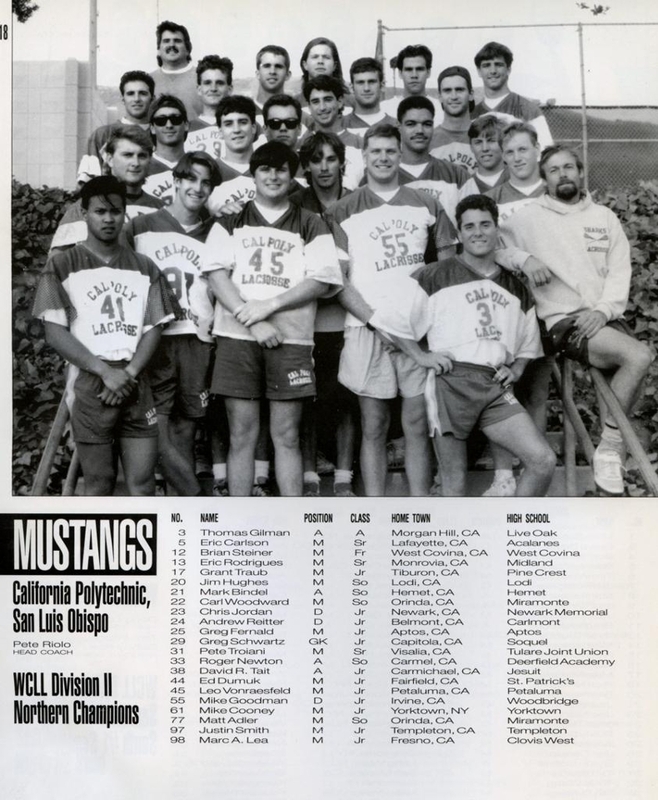 After a difficult 1991 season in WCLL Division I, the Mustangs moved back down to Division II, a better fit for the team at that time. After a several year hiatus, Pete Riolo returned to coach the program and Bob Jones stayed on as the assistant coach and the two combined to lead the Mustangs to their best season in years. On the field, the team was led by captains Mike Cooney and Mike Goodman. 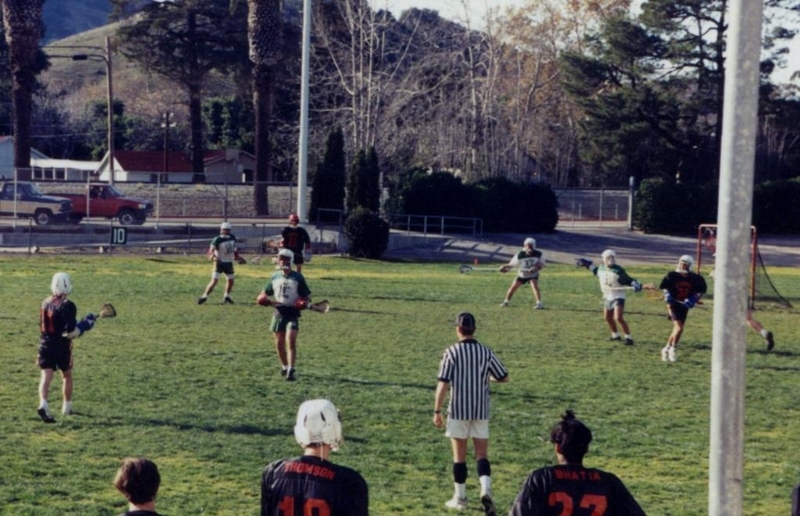 Cooney was the team’s high scorer and offensive initiator, while Goodman patrolled the defensive end, dishing out big hits and collecting ground balls. Midfielder Marc Lea and attackman Tom Gilman rounded out the top three scorers along with Mike Cooney. Midfielders Eric Carlson, Matt Adler, and Greg Fernald along with attackman Dave Tait were also key offensive players. 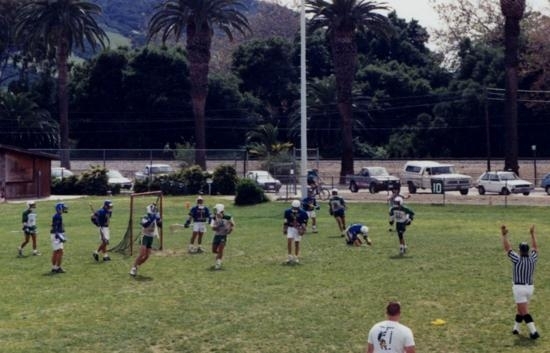 Goodman was joined on the defensive end by Andrew Reitter, Chris Jordan, and Leo vonRaesfeld at LSM, while Greg Schwartz anchored the defense between the pipes. Mike Cooney and Mike Goodman were both named to the WCLL North All-Star Team, a combined all-star squad made up primarily of WCLL DI players. During the regular season, the Mustangs swept through the Division II North, earning victories over UC Santa Cruz, Sacramento State, Humboldt State, and UOP, earning the #1 playoff seed in the Northern Division. On the strength of the regular season, the Mustangs were able to host two playoff games in old Mustang Stadium, knocking off UOP 10-4 in the Quarterfinals and UC Santa Cruz 9-7 in the Semi-Finals. 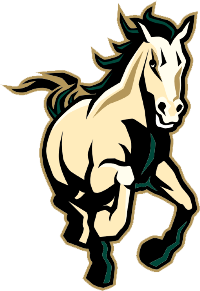 Those two playoff victories earned Cal Poly a trip to the WCLL Shootout in Santa Barbara where they took on the Chapman Panthers in the first ever WCLL Division II Championship game. The Mustangs held tough but couldn’t pull off the upset against a strong Chapman squad. 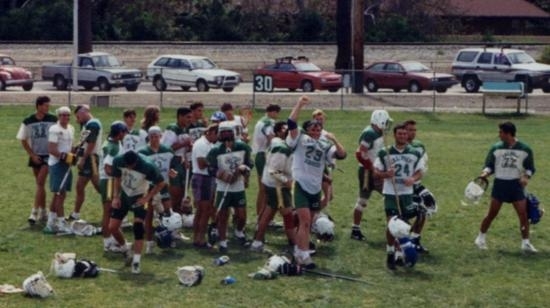 Despite the loss, the team showed some big improvements from 1991, and held their first and only guacamole fundraiser after the title game, courtesy of Assistant Coach Bob Jones and a truckload of avocados.